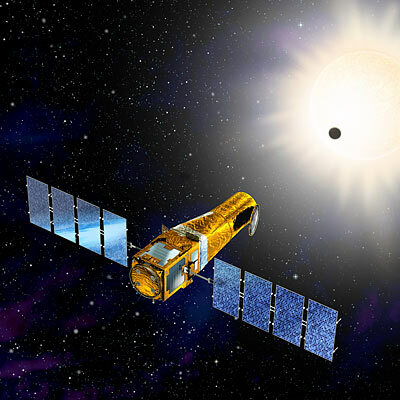 CNES’s space telescope detected its 1st Earth-like exoplanet in 2008. Ground observations have now confirmed it is a solid, rocky world. CoRoT entered orbit in December 2006. Credits: CNES/Ill. D. Ducros. The small exoplanet CoRoT-7b detected by CNES’s CoRoT spacecraft has turned out to be the 1st rocky planet discovered outside our solar system with a density similar to Earth’s, according to results published Wednesday. The astronomers who announced the planet’s discovery in February have now calculated its mass and density, revealing that it is a rocky world, indicated the European Southern Observatory (ESO). The small planet, with a diameter 1.8 larger than Earth, is very close to its star and its mass is five times that of Earth, according to data acquired by the HARPS spectrograph on ESO’s telescope at La Silla, Chile. The system could comprise 2 “super Earths”. Credits: NASA. “Until now, we had no way of knowing the composition of all these small planets we’re finding,” explains Didier Queloz. He added: “But as CoRoT-7b is rocky, it’s likely that similar planets with a mass 3 to 5 times that of Earth are rocky too.” So far, 10 such “super Earths” have been discovered. 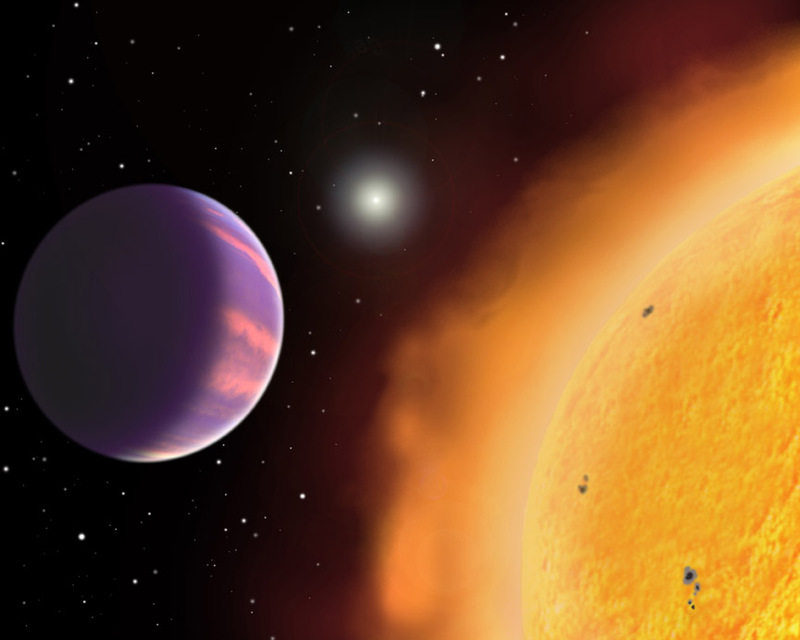 Furthermore, observations by ESO detected the presence of a second planet, named CoRoT-7c, with a mass 8 times that of Earth. Everything seems to point to the 1st planetary system found with 2 super Earths, each with a mass less than 10 times that of Earth.